Raiza Masculino, a Digital Cinema graduate of Mapúa University, takes pride in her film “Amusin Pa,” one of the finalists in the Short Film - Student category of the 2018 CineFilipino Film Festival. Initially created for Masculino’s undergraduate thesis, “Amusin Pa” is a story of the physical and emotional struggles of the young boy protagonist who became deeply infatuated with an older woman. The title of the film was derived from a southern Tagalog term used for kids who are “gusgusin” or unkempt. It was shot in Marinduque, in Masculino’s hometown, to highlight the culture and the tradition of the island province. “As a regional filmmaker, Marinduque is my identity. I wrote my screenplay, which is specifically set in Marinduque. The characters speak in Marinduqueño, and the tradition is also present,” said Masculino. 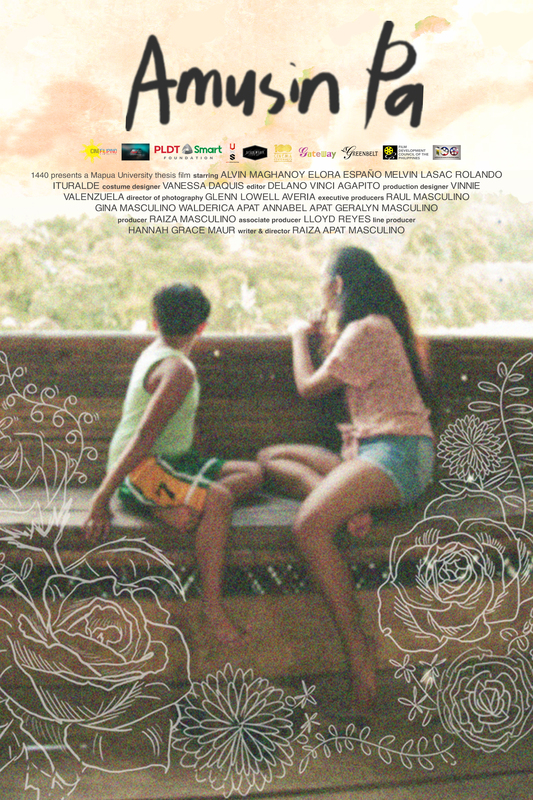 Among the seven short films that made the cut in the student category, Masculino’s “Amusin Pa,” was the only entry that used love as its theme. To her, it is what sets her film apart from the other short-film finalists. The film was influenced by Masculino’s interest in romantic comedy movies. This inspired her to create and write stories different from the typical and predictable storylines and plots we commonly see in this genre. “I made love the theme of my film because I love romantic comedies. That’s the reason why I made this film. I wanted to do a story that is very different from the conventional rom-coms (romantic comedies),” she said. “I had only two interior scenes. I wanted to extend the shooting days, but I couldn’t afford to do that because of a limited budget. My team and I had to compromise,” said Masculino. According to Masculino, her training in Mapúa University helped her overcome unforeseen situations during her film’s production. Being an active student in college, Masculino believes her experiences in the field helped her to effectively and creatively direct her film. Masculino’s “Amusin Pa” was awarded Best Thesis, screened in Cinema Rehiyon, and now in CineFilipino. As a rookie in the film industry, Masculino believes that she still has a lot to master to continuously develop her craft to succeed in her chosen career path. For her, quality takes time and that filmmakers should always remain patient in conveying their stories. The CineFilipino Film Fest ran from May 9 to 15 in selected cinemas: Gateway, SM Cinemas, and Greenbelt 1. The awarding ceremony took place at the Kia Theatre on Saturday, May 12. 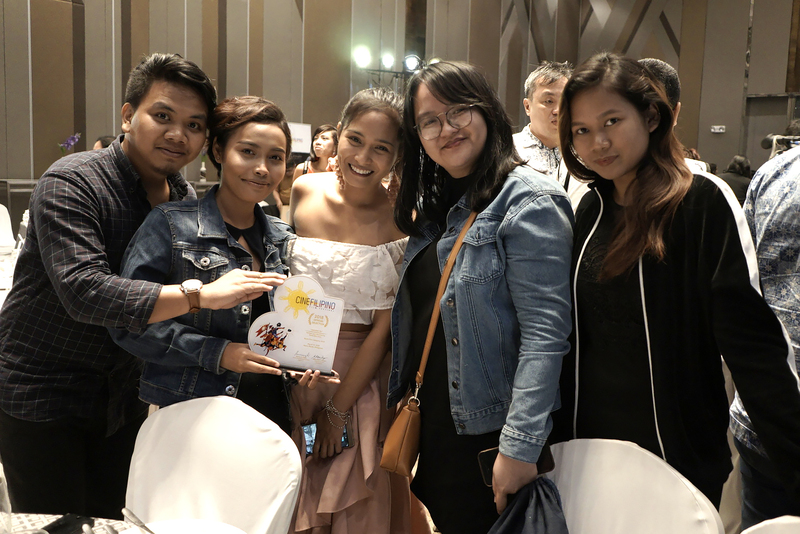 (L-R) "Amusin Pa" Director of Photography Glenn Averia, Director Raiza Masculino, Actress Elora Españo, Production Manager Hannah Maur, and Wardrobe Supervisor Vanessa Daquis receive the plaque for CineFilipino Film Festival 2018 official selection last April 10.